A forest garden is a garden of perennial plants that produce food. It is often designed to look “forest-like,” with trees forming a canopy above, and smaller plants creating a “forest floor” effect underneath. As part of the Westchester Community Oven project, we had always intended to try adding a food forest garden to the Community Garden at Holy Nativity. I’m “cooking up” a batch of Opuntia juice preservative. It is a traditional weather coating used on adobe and cob structures. We will be adding it to the final coat on the Westchester Community Oven when we re-surface it next weekend. I had to post this because it is absolutely a frightful color of green. No filters in that photo! This past Saturday, we had LOTS of fun making adobe bricks at the Community Garden. Yesterday in the Community Garden, we discovered that we are experiencing an attack of Root Knot Nematodes. The beets we pulled up had failure to thrive, failed to form a beet root, and had tons of tumor-like growths on the hair roots. Yuck. The excess of one organism — to the point that we call them a “pest” — is a system imbalance. It’s probably due to something lacking in the overall micro-ecosystem. I’m sure our beets this year were weakened from lack of proper rain, and from excess high temperatures this season, so they were particularly succeptible. 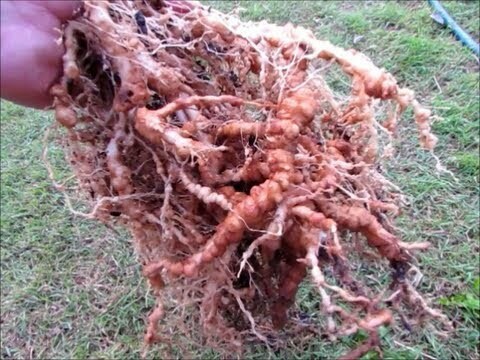 My guess is that we probably have had low levels of root knot nematode everywhere for years, but thus far the soil ecosystem had kept them from flourishing and becoming an out-of-balance pest. We’re designing a Food Forest garden, to be built later this spring. We’ll be tearing out asphalt, cleansing and rejeuvenating the soil, and recrafting the space as a community gathering area with a cob bread oven and food forest. Contrary to what East Coast people say, Southern California does have its seasons. But there’s rarely a clear “cutoff” date. Add climate-change-driven Weather Weirdness to the mix and it can be totally confusing, even for veteran gardeners. How do you tell when it’s time to change crops in your rotation? Water. Our gardens are aching for it. And as toasty spring lengthens into official summertime, water needs will only increase. Meanwhile, we’re completely overlooking a rather abundant water resource. Greywater. That’s water which has been used once before but doesn’t have anything nasty in it.